From the age of 15 it had been an ambition of mine to own a Compton electronic organ for home practice and this was achieved at the age of 21 when I acquired this 352 model. 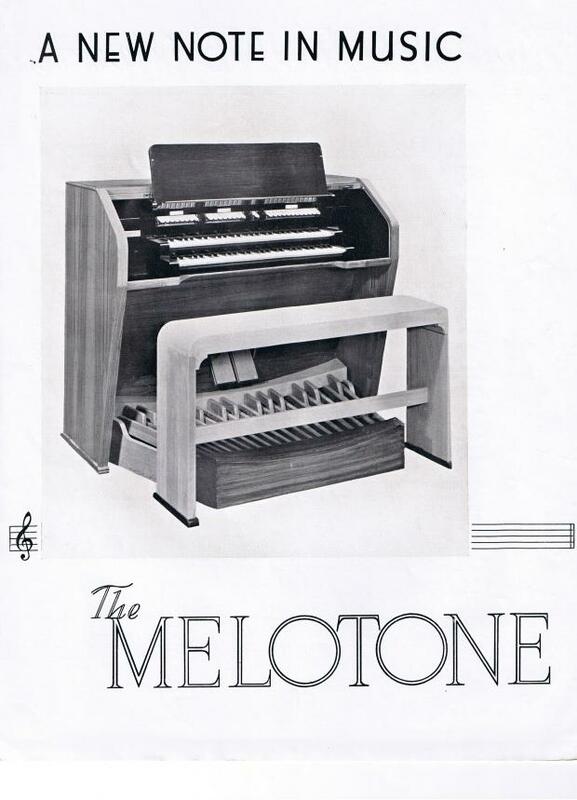 In 1952, Comptons developed the 352 model which was also known as the 'melotone' - not to be confused with melotones of the pre war years attached to cinema organs! It had a cinema organ spec and also a Vibraphone stop and was very popular in working mens clubs and Butlins holiday camps, hotel bars etc. This particular model I have dates from around 1955 and is said to have come from a hotel bar in Leeds. It was then in storage for several years at a garage in Tamworth before going to a classical organist in Warrington who I acquired it from. The organ is excellent and is able to handle both church and cinema style playing. I wouldnt choose any other instrument over this! My cat Milo at 8 weeks old and clearly a Compton enthusiast also! 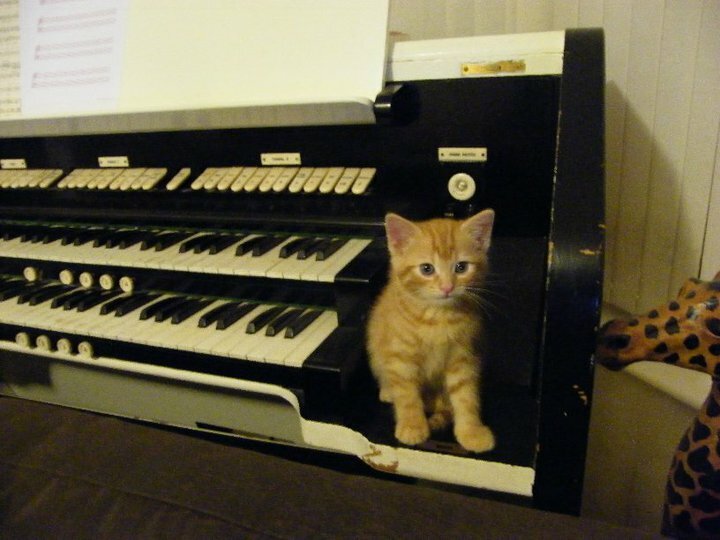 Compton really did think of everything - how many other organ builders designed speakers for cats?????? 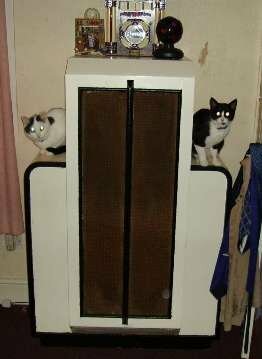 My cats Jasper (left) and Molly (right) on the speaker of my Compton organ.